NEW YORK – As Bellator held a big press conference at the Viacom headquarters in Manhattan on Thursday, certain familiar figures could be seen hovering around the periphery. 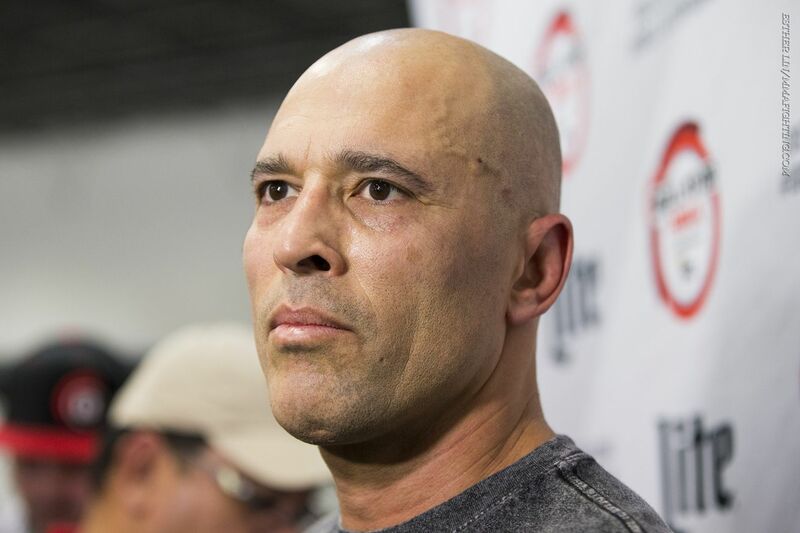 One of those was Royce Gracie, the Brazilian star of UFC 1, who helped elevate jiu-jitsu in the fight world consciousness. Gracie’s seen a lot in those 24 years, including the ban of MMA in plenty of states to the partition finally coming down to allow Bellator — and all MMA promotions — to once again hold shows legally in the Big Apple. Just like Spike TV’s president Kevin Kay and Bellator president Scott Coker, Gracie was aglow at the prospect of being in New York and watching fights at Madison Square Garden. The 50-year-old Gracie has not officially retired from MMA, and was on record as late as March stating he’d be interested in fighting again. At the time, he cited a rematch against Matt Hughes as a possibility, an idea that took on additional steam when Hughes appeared on The MMA Hour last month and said he never really wanted to retire. Hughes, who last fought Josh Koscheck at UFC 135 in Denver (losing by KO), laid out his reasons for coveting at least one more fight. Yet things changed last week when Hughes was hospitalized after his pickup truck was struck by a train in Raymond, Ill. He was airlifted to a hospital in Springfield, where he remains in stable condition at this time. Though he is not yet awake or responsive, reports came back from his family that he suffered no broken bones or internal injuries. Among those shaken by the news was Gracie himself, who faced Hughes at UFC 60. The two have long been entwined in the fight game given their rivalry, yet Gracie said he only hoped to see Hughes make a full recovery. Like everyone else, Gracie said he was puzzled by the circumstances of his accident, and is curious to know what the investigations turn up. Gracie lost his bout to Hughes via first-round TKO back in 2006, when Hughes was the UFC’s reigning welterweight titleholder. The fight was contested at a 175-pound catchweight, and was therefore a non-title fight. Gracie and Hughes have talked about a rematch at different times throughout the last decade, yet it never materialized.